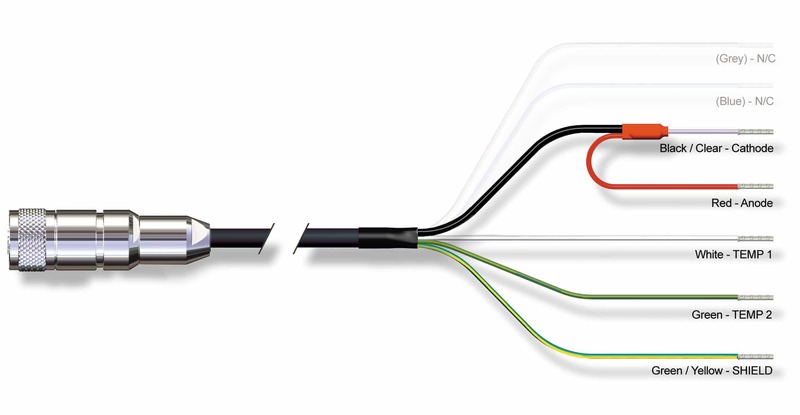 This FermProbe® style features a standard S8 detachable cable connection on a metric Pg13.5 threaded polymer cap, which allows the electrode to be used with European style electrode housings. 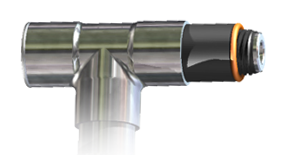 The standard metric cap is a newer autoclavable design that protects the connector pin from breakage. The design requires the rotation of the electrode during installation. The original K9 autoclavable cap design is still used in many existing bioprocess systems. 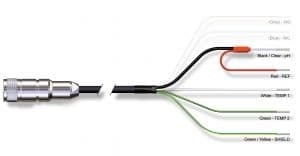 This FermProbe® style features a K9 detachable cable connection on a metric Pg13.5 threaded polymer cap, which allows the electrode to be used with European style electrode housings. This multifunctional electrode is capable of both receiving and processing a number of signals at the same time. The Variopin (VP) connector allows simultaneous pH and temperature readings. VP plug is completely watertight in unconnected condition. High temperature resistance through the use of PEEK material. Industry standard 4-pin connector. Hermetically sealed, gold plated contacts in a glass insulator offer the ultimate in signal isolation and transmission. Less expensive molded plastic connectors are not used. This industry standard connector was the first, and is still, the best choice for DO sensors.